Given that many young adults have no job, and very little prospect of one, many of them are keen to act as community volunteers helping rebuild and shape their towns, villages and communities. The Ignite Leadership Academy, consisting of approximately 16 3-hour modules such as Building a Team, Communication, Time Management, Personal Spirituality, helps equip these young adults with the necessary leadership skills needed. In turn, the graduates from the Leadership Academy serve locally, across each of Liberia’s count districts and also at the annual Ignite Liberia Youth Camp.The annual Ignite Leadership Academy provides many young people the opportunity to fellowship together, be trained and equipped, and given vision and strategy to make a difference in their country. Each summer, Ignite Liberia hosts its annual Summer Camp were young people have the opportunity to fellowship together, grow and learn how to make a difference in their country. In 2018, 165 young people and 10 staff were able to enjoy a week together at the ABC University grounds in Yekepa. When Liberia was hit by an Ebola epidemic in 2014, Ignite Liberia utilized overseas support and arranged for buckets of disinfectant and bags of rice to be provided to many villages cut off by the government-mandated quarantine. It’s no exaggeration to say that this intervention saved many lives. Ignite Liberia continues to help those communities at-risk of the contracting the Ebola virus during Liberia’s current epidemic. The Ignite Liberia Ebola Team has undergone training to teach classes on prevention and treatment along with securing the necessary supplies and food for the impacted villages. In 2006, living outside of the capital city, Monrovia, community leaders Emmanuel and Wine Jonah recognized that the civil war had a deep and potentially long-lasting impact on the young people of Liberia. Many young people were unemployed, without hope or direction, and were partially educated. At the time, there was no structured youth program to help develop the potential of these young people. Recognizing the importance of intervening at a crucial point in so many young people’s lives, the Johan’s founded Ignite Liberia. 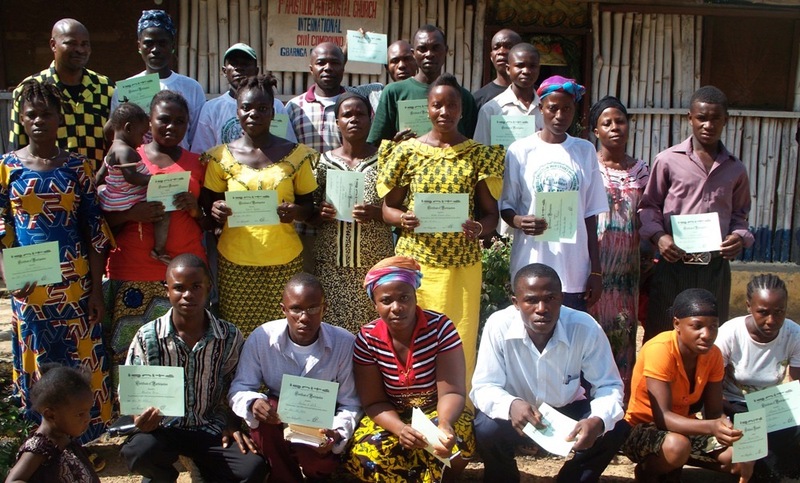 Completely based on volunteer leadership, Ignite Liberia quickly opened centers in each of the 15 counties across Liberia and appointed county co-ordinators. Offering leadership training, mentoring, citizenship and community activities, Ignite Liberia soon became a key movement in helping rebuild a war-torn nation. Despite hardship and illness such as malaria, Emmanuel and Wintee have continued to lead Ignite Liberia with passion, enthusiasm and vision.